A long-range motor yacht builder expands with a smaller model, the Outer Reef 580 LRMY, for 2016. 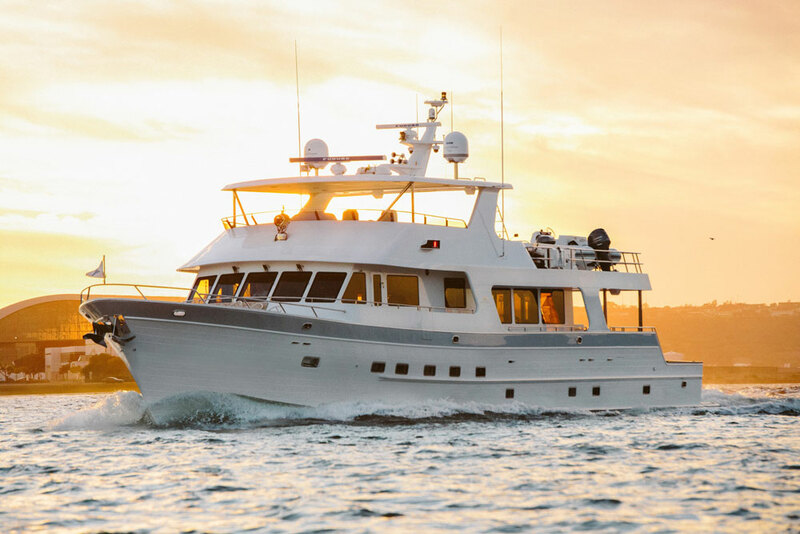 Outer Reef builds big beautiful long-range cruisers that highlight traditional styling combined with modern technology, but for 2016, the builder reaches to a new market by launching their 580 Motoryacht. 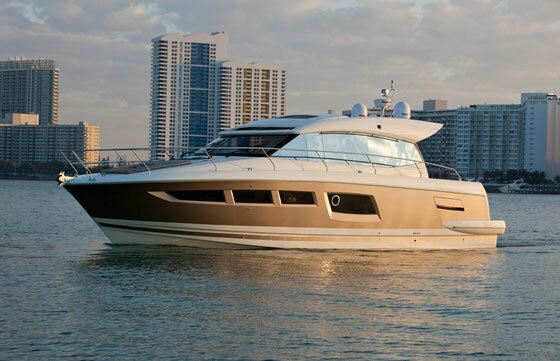 We visited it at the Fort Lauderdale International Boat Show, and shot this First Look Video. This model may be the baby of the line, but there’s nothing small about her. 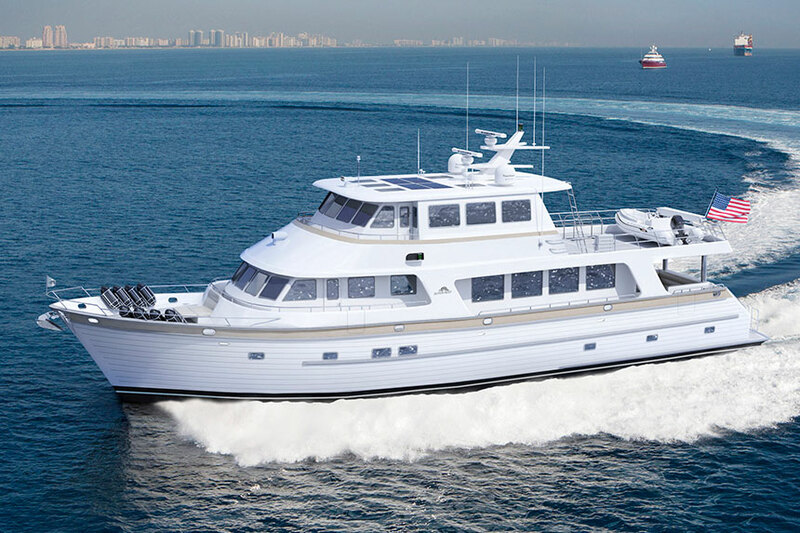 With a 17’ beam and a 70,000 pound displacement, this is a substantial cruising platform. She’s powered by twin John Deere 6090 500 HP diesels with ZF transmissions. 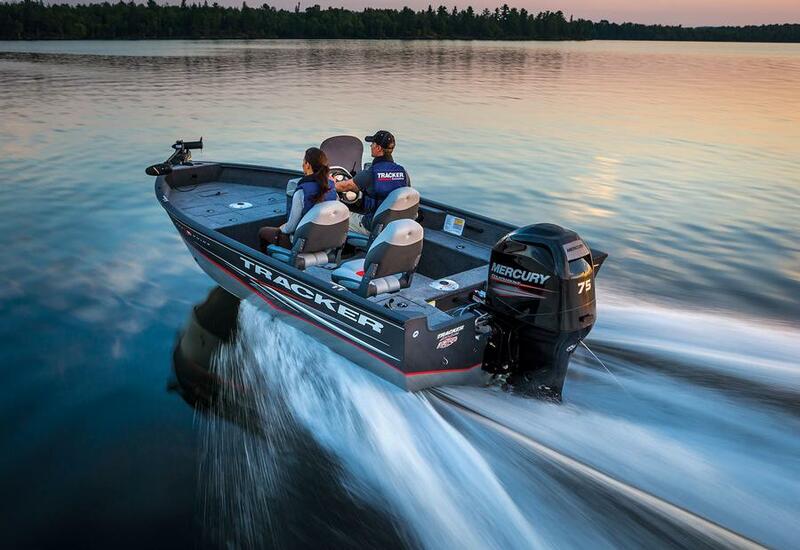 A Side Power 10.7 HP bow thruster and ABT Trac stabilizers make her easy to maneuver and steady under way. Not having run the boat yet we’re not sure of the range, but with 1,000 gallons of fuel, it’s sure to be impressive. 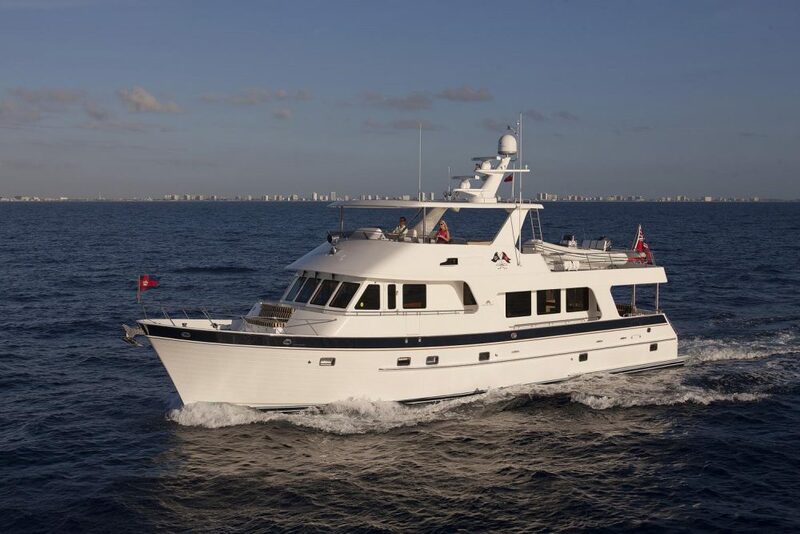 Like on all Outer Reef yachts, the interior finish is impeccable. The raised galley overlooks the saloon, while the dinette in the pilothouse is fronted by the helm. Below, the master stateroom is amidships with two additional cabins for guests. For more information visit Outer Reef, or take a look at some Outer Reef listings.